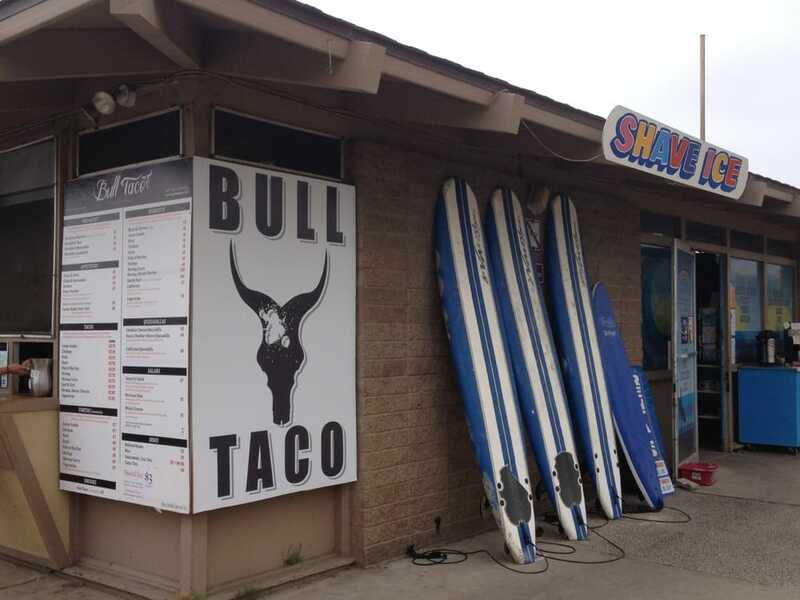 A San Diego North County destination for unique Mexican creations and at one time a successful chain on the rise, Bull Taco has shuttered its original and last remaining location at San Elijo State Beach's campground after a lease dispute. In 2009, longtime restarateur Greg Lukasiewicz and his chef wife Laurel Mananelli took over the waterfront former hamburger stand at San Elijo State Beach for the opening of Bull Taco, a 'inauthentic' Mexican food eatery with a menu of duck, lobster, foie gras and nearly a dozen versions of seafood tacos and burritos served at a cliffside picnic table dining deck with picturesque views. The success of the original Bull Taco stand led the couple to launch multiple outposts - including in Oceanside, Encinitas, Del Mar, San Clemente, and inside Petco Park - all which have since shuttered. In late 2017, likely due to sliding online reviews, Bull Taco changed its name to Fish Mama, which was a violation of its contract agreement with California State Parks, ultimately resulting in the eatery's removal from the prime space. Although Bull Taco claims that the close is only temporary, the State Parks Department has indicated that it will soon begin the process of reletting the space to a new tenant, launching a bidding process within the next couple months with a contract expected to be awarded in July 2018. There is anticipated to be a great deal of competition for the space due to its panoramic waterfront locale and it being sited in a busy coastal campground. Potential applicants can find information on the concession bid process at parks.ca.gov/?page_id=22560.